Cologne - Having coached both FC Bayern München and Borussia Dortmund for several years, Ottmar Hitzfeld is in a better position than most to comment on his two former sides’ respective starts to the 2015/16 Bundesliga season. In an exclusive interview with bundesliga.com, Hitzfeld talks about Dortmund’s development under new head coach Thomas Tuchel, the importance of summer signings Douglas Costa and Arturo Vidal to champions Bayern and Leverkusen’s philosophy under Roger Schmidt. bundesliga.com: Ottmar Hitzfeld, were you expecting Dortmund to start the season in such spectacular fashion? Ottmar Hitzfeld: I was optimistic that Dortmund would start well because they did very well in the second half of last season. They also seem to be benefitting from the Thomas Tuchel effect, with every player having to prove themselves once more under the new head coach. Dortmund have not only collected six points and scored a hatful of goals, the team’s overall performance has also been impressive. Dortmund are no longer just a counter-attacking side, they also move the ball about very well. All their players are good at pressing the opposition and they remain focused for the entire 90 minutes. You can tell the team is enjoying their football. bundesliga.com: Thomas Tuchel has managed to get the best out of players who were struggling for form last season. How do coaches manage to give their players a new lease of life like that? Hitzfeld: A coach must always play the roll of a psychologist, even when addressing his players every day in training. That’s when he has to get his philosophy across and take his players’ strengths on board. A new coach always starts his job by trying to build players’ confidence. When a coach is replaced, the job of trying to foster a positive atmosphere starts again from scratch. bundesliga.com: What do you make of BVB’s playing style? Would you say it has improved under Tuchel? 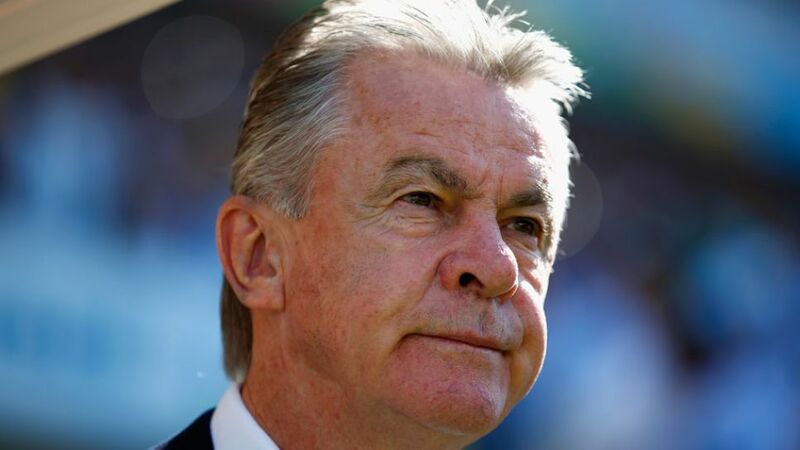 Hitzfeld: The team has definitely improved. It’s not only all about fast-paced counter-attacks anymore. BVB have more possession, more patience, their pass-completion rate has gone up and they are more comfortable on the ball.